Ticket to Ride, by Days of Wonder, is one of those legendary classic games, like Axis and Allies or Catan. Even if you’ve never played it, you’ve probably at least heard of it. I remember playing the game at an Edmonton Public Library gaming night, and I guess it stuck in my subconscious, because when I saw the newest version, New York, at a Boxing Day Sale, I grabbed it immediately. 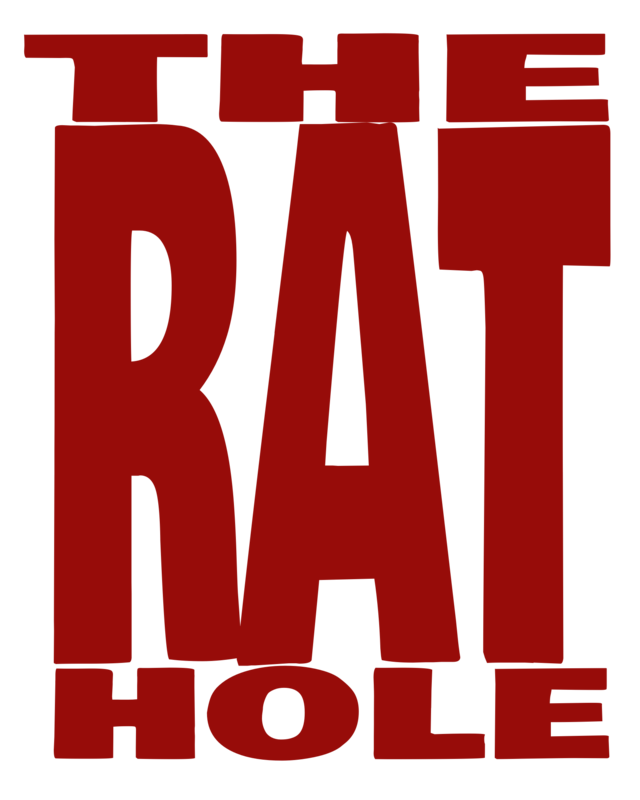 This is a simplified version of the original TtR. Instead of trying to travel across North America or Europe, you are just trying to get around town in The Big Apple. I’ll leave it up to you to decide which of these scenarios would be the most challenging in reality. 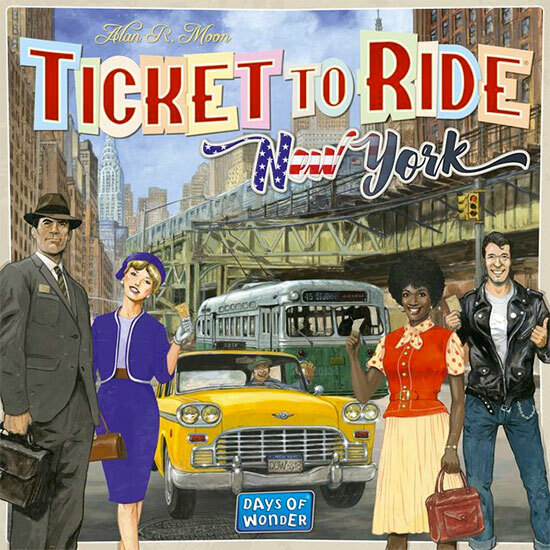 The game consists of a playing board detailing routes between various New York landmarks, a rulebook designed to look like a travel pamphlet, four different sets of plastic taxicabs, Destination cards and Transportation cards. Instead of train cars, the different colored Transportation cards represent buses, trolleys and subway cars, with the coveted wildcards being the ubiquitous New York Cab. The game begins with each player choosing their color and receiving their bag of 15 taxicabs. For their starting hands, each player gets two Transportation cards and two Destination cards. They are allowed to keep both Destinations, or discard one to the bottom of the deck. Five Transportation cards are dealt face up beside the game board. If at any time there are three wildcards out of the five cards, they are discarded and replaced. On their turn, a player can choose to do one of three actions. You can (1) pick up two Transportation cards either randomly from the deck or from the face up cards (but if you deliberately choose a wild card, you don’t get another card); (2) draw two Destination cards, keeping at least one; or (3) lay down a set of cards to claim a route. A set of cards must cover the complete route, and can include wild cards. In fact, you can play a set of all wildcards if you wish. Once a route is claimed, no one else can have it. Some locations are connected by a double route. The second route can only be used if there are three or more players. Play continues until one player has two or fewer taxicab pieces; at this point, everyone is allowed one last turn. Scoring is fairly simple. You get points for all of your routes, regardless of whether they match your Destination card(s). Longer routes are worth more points than short ones. Next, you get points for successfully completing one of your Destinations. It doesn’t matter how the two landmarks are connected, only that there is a continuous route between them. You lose points for any Destination you fail to reach. For example, if you get from Central Park to Chelsea, you get 5 points; but if you fail you lose 5 points. Finally, you get one point for each time one of your routes touches a New York Tourist Attraction, represented on the board by a penny. This is a fun game to play when you don’t have enough time for the original TtR. It is easy to learn and quick to play. The estimated game time on the box, 15 minutes, is accurate once you understand the rules. After playing our first game, we immediately set up for another, which means that replay fatigue is not an issue. You can find Days of Wonder online at www.daysofwonder.com or on Facebook at facebook.com/daysofwonder.